Hey there! 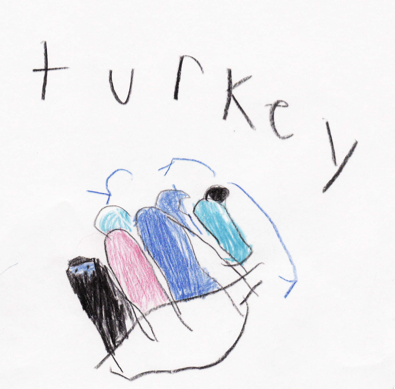 Time for a very short turkey story from Lillian. As in the past I’ll leave it as she wrote it. Once upon a ago there was a turkey name Tum and liked to eat cheese. The End. Hope you enjoyed Lillian’s story. We just got a wireless router so we’ll have it set up so she can use her laptop to write her own entries. She has many other stories, I have just been so busy I haven’t had time to get them entered. So, hopefully, she can help get us caught up!